A film created by the Andres Neumann Theater Archive. 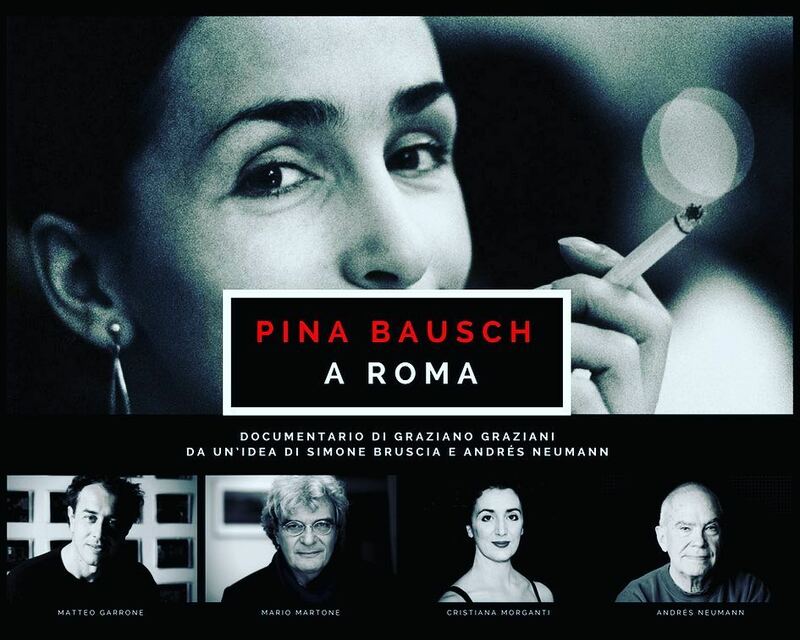 Pina Bausch A Roma – Il Documentario (Pina Bausch In Rome – The Documentary) is a documentary by Graziano Graziani from an idea by Simone Bruscia and Andrés Neumann, produced by Riccione Teatro in collaboration with the Andrés Neumann’s Theater Archive / Il Funaro Cultural Center of Pistoia (Italy). The roman period of the german choreographer that has created Tanztheater lives on in the previously unpublished stories of artists such as Matteo Garrone, Mario Martone, Vladimir Luxuria, Leonetta Bentivoglio, Cristiana Morganti and Andrés Neumann. Passed in 2009 at the age of 68, Pina Bausch was a dance and theater icon of the twentieth century, a visionary capable of bewitching directors like Federico Fellini, Pedro Almodóvar and Wim Wenders, “an earthquake with a determination without match in the contemporary arts scene” (Leonetta Bentivoglio). Of the fifteen pieces this great choreographer has left behind, many were inspired by cities of the world. Rome is the only city that has inspired Pina Bausch to create two pieces: Viktor (1986), and O Dido (2000), both co-produced by Teatro Argentina, Teatro di Roma. The factual documentary Pina Bausch in Rome retraces the two roman residencies of the german artist, bringing to light, through an interweaving of unpublished interviews, the unsuspected Rome of Pina Bausch. An authentic and absolutely unconventional city appears in her eyes: a daily Rome, marked by lunches in a trattoria, raids to popular dance halls, and walks to the fruit market. And also an underground Rome, lying in its multiethnic suburbs, known thanks to repeated visits to gypsy camps, and nocturnal incursions to the queer and transgender scene. Telling us about these original and little-known experiences of Pina Bausch, are friends, longtime collaborators and unpredictable fellow travelers, among which: Matteo Garrone, Mario Martone, Vladimir Luxuria, Cristiana Morganti, Leonetta Bentivoglio, Andrés Neumann, Ninni Romeo, Claudia Di Giacomo and Maurizio Millenotti. An idea of Simone Bruscia (director of Riccione Teatro) and Andrés Neumann, (longtime production partner of Tanztheater Wuppertal Pina Bausch) this factual documentary is inspired by some unpublished photographs of the Andres Neumann’s Archive (hold at Il Funaro, Cultural Center, Pistoia, Italy) that testify Pina Bausch’s visits to the gypsy camps of Rome. Hence the idea to shoot a factual documentary on the intimate relationship of Pina Bausch to the city of Rome.